You must make reservations at least 5 minutes in advance of the time at Hank's Pasta Bar. We do not offer valet service. 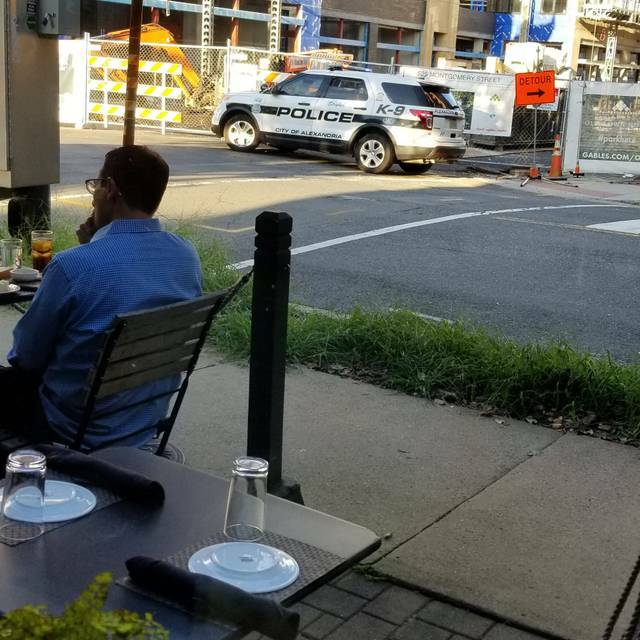 There is street parking in front of the restaurant based on availability. There is a garage located directly across from the restaurant operated by the Sheraton Hotel and parking rates apply. Short walk from the Braddock metro station. Please go to our website to see our upcoming events. Hank's Pasta Bar is a rustic, seasonally driven Italian restaurant. 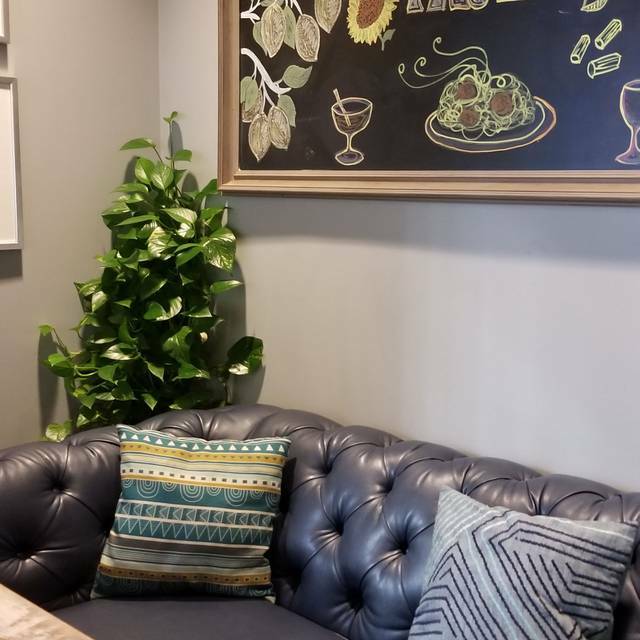 We have a semi-private lounge and a private dining space we call the Joy Room. 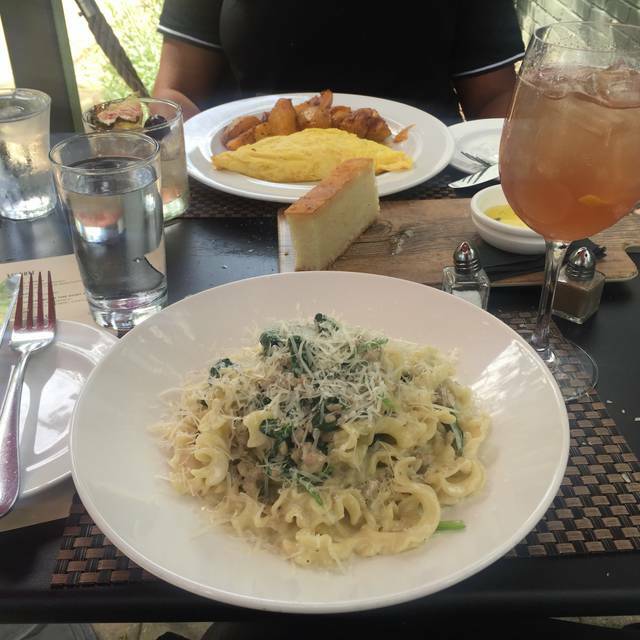 Hank's Pasta Bar is a rustic Italian restaurant located at 600 Montgomery Street in North Old Town Alexandria. The Pasta Bar features hand-made fresh pasta, fresh seafood, cheese & charcuterie, fine wines, craft cocktails and local draught beers. Three of us dined at Hank's on Saturday night and the meal was outstanding! 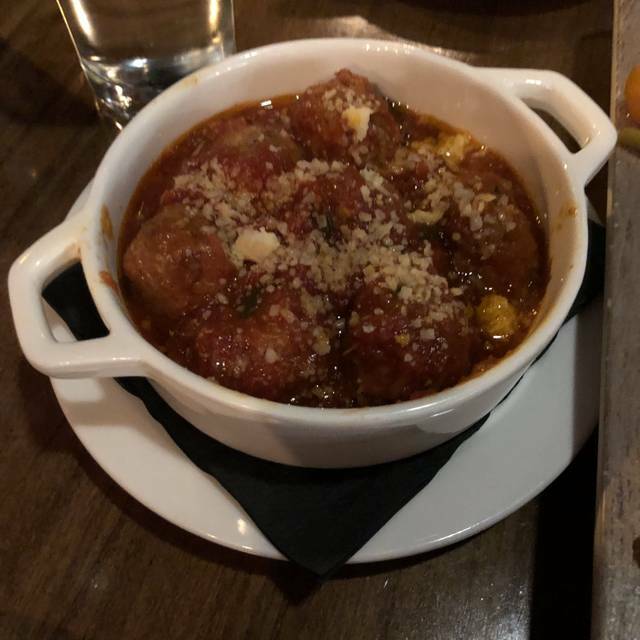 My only complaint was that there were only four shrimp in the entree diavolo shrimp dish, which was a surprise given the price. But the lasagna was to die for and that's what I'll be ordering from now on. Spaghetti with meatballs was also delish. I can't recommend this gem enough! The pasta was perfection, and the service was great. We went with a large party for dinner the night before Easter. The menu had changed from winter to spring that week, meaning that my Mom's favorite dish, Pasta Carbonara, had rotated off the menu. She was bummed, so imagine her delight when our waiter returned to say the chef had agreed to make the dish just for her! The chef also came out to greet us after the meals were delivered. Food was absolutely wonderful. The owner and chef visited each table. Our server was very attentive. Overall pleasant experience. Will def return. Good food, good people, good location. The only thing missing was the complimentary dark chocolates that they give away after dinner at Hank's Oyster Bar. Great service, great food and comfortable seating. We will definitely be returning. The food is amazing! A Light but filling meal! Loved the restaurant and the staff were great -- but, I was overall disappointed in the food. The appetizers were WAY too salty, the veggies were overcooked, but the risotto we ordered was actually way under-cooked. The staff was attentive, but kept taking plates away before we were done with the food. Quality time with my wife! The grilled octopus was a bit salty but otherwise good. I would not recommend the linguine and clam sauce. The bolognese and mafalde pasta dishes were tasty. Great bartender who made a wonderful cocktail that I suggested and that she hadn't made before. Attentive server who described the menu items carefully and accurately. The food was a delightful surprise since I hadn't dined at Hank's prior to March 29th. Everything was absolutely delicious. Looking forward to returning soon. 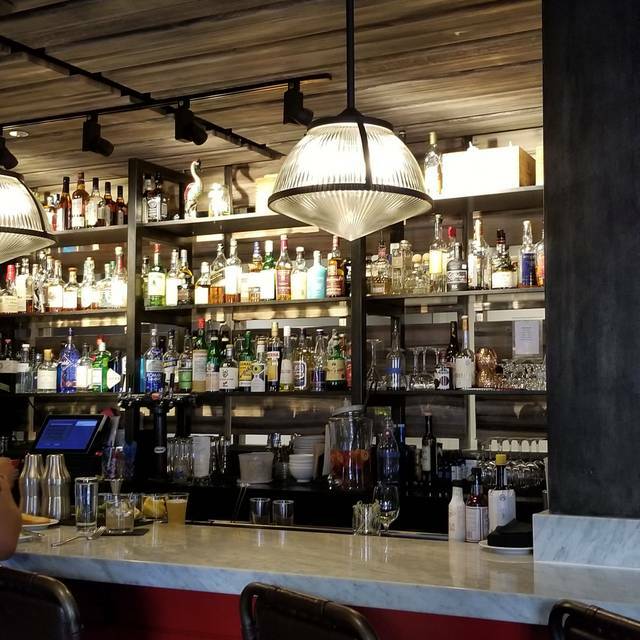 Hank's was bustling with a good vibe, every table occupied, a full bar and yet you never felt crowded. We have eaten there at least five times. The crostini(s) ate the best. I always have the lasagna which comes out in a heated dish. The service has always been good as well. 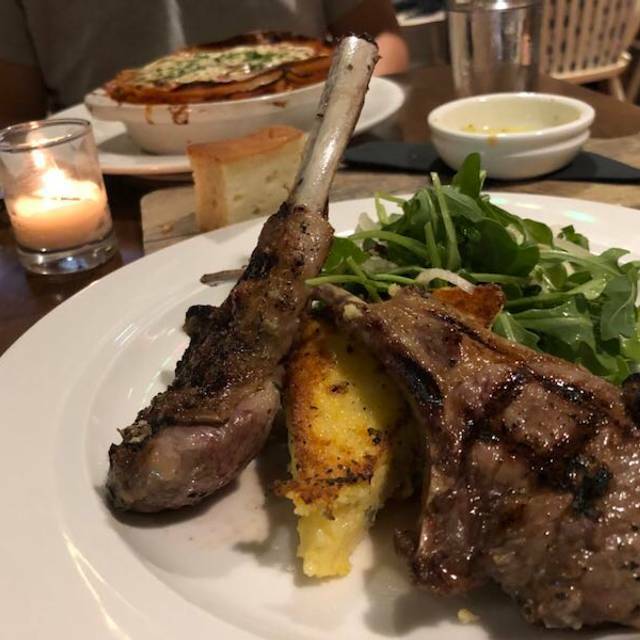 Hanks is our go to for Italian in Old Town. Pasta was excellent, as it usually is. Hostess and wait staff are friendly and helpful. It’s little bit cramped for space but we had a table tucked into a nook. The menu could use some new dishes but overall, it’s a consistently good value with quality food and service. The food was great. We ate an early dinner (6:30 pm) and got out before the noise level became too high to hold a conversation. I would prefer if the waitstaff did not wear strong perfume. It was just okay. Nothing special. We were greeted warmly. Hank’s never disappoints. Always amazing food and service! Hanks Pasta Bar was amazing, I would recommend it across the board! Intimate space, very attentive staff, delicious appetizers and entrees. Cocktails were refreshing and tasty. Loved the art deco styled bathroom. All-around an amazing experience. I had been there before but had not tried the pasta. This time I went for a delicious lasagna, shared fried calamari and greens and fennel salad. Delightful and generous portions maybe too much so, did not had room for dessert. I was a little disappointed in the menu as it seemed much smaller in options than the previous times I’ve been, while I understand the menu is seasonal. They also could stand to upgrade the ambiance when they opt to seat diners right at the entrance. That was previously bar folks on a first come, first get, and we were a reservation. It’s not nearly as nice as the back of the restaurant. All said, great service and good food. Squid is still to die for. Everything was delicious, was a little disappointed that it was my daughters 18th Birthday dinner which I noted in the reservation with a request to bring a cake or restaurant provide. Never got a response & no one mentioned during our visit. We always enjoy dining at Hank's. Brother was visiting from out of town and asked for a recommendation. 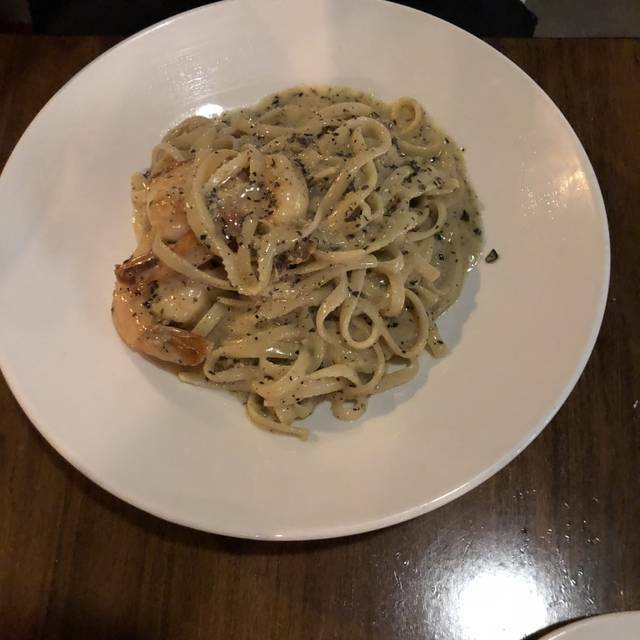 We enjoyed delicious cocktails, excellent antipasti board and grilled octopus (don't miss this dish), and delightful pasta dishes: linguine with clams, fusilli carbonara, bucatini cacio e pepe... service was outstanding as usual. A lovely evening! Had quick, friendly service! Started with freshly baked focaccia. Pasta came out promptly and hot. Coconut sorbet and mini cannoli perfectly finished the meal. One of our new favorite date spots! Too noisy for conversation no ambiance. Their seafood place is better. I've taken visiting friends and family to Hank's twice recently. Both times the service and food were outstanding! The pastas are fresh, the fish prepared perfectly, and the appetizers were delicious. Our servers both times were friendly, really knew the menu, and were attentive without hovering. My guests all loved the experience and all said they would return to Hank's when they're back in the area. I know I'll become a regular! Thanks for the excellent meal and service, Hank's! Hanks is a sure favorite of Old Town Alexandria! Food and service is always fantastic!! We finally found a place that makes excellent fresh pasta. I'll start with the good: Excellent service and management, the Octopus was uh-mahzing, and dare I say better than the Lagareiro style I had all over Portugal. Chicken liver crostini was creamy, and the Burrata maple vinaigrette was just the right amount of subtleness very few can pull off to not overpower the Burrata itself. 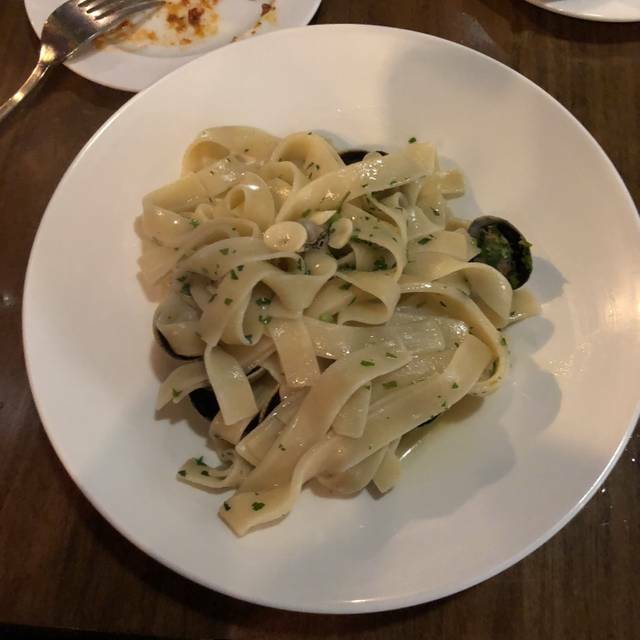 For pasta, I'd recommend sticking to the Bucatini since it has that thick bite to it that is enhanced endlessly by its freshness. Unfortunately I went for the braised rabbit pasta because I was intrigued by it, but it lacked in flavor and I don't think it worked at all. The clams pasta tasted great. The dark chocolate flourless cake dessert was nothing short of sublime. Do not skip on dessert over there. So why 4.5? The fried Calamari had an incredible spice/season to it that was unfortunately mutilated by the ginormous amount of salt dumped into it. We couldn't finish a couple of pieces before our mouths started to hurt. The manager even concurred and without us asking she removed it off the check. It's such a shame because the seasoning tasted real good. So yeah, we'll be back there. Edit: We went back there the next day and I feel I should knock it down to a 4. The amazing Bucatini my fiancé's brother had the day before was drenched in way more pepper than his was. We also ordered the' chef's favourite primavera and it was nothing special you couldn't put together at home. Still one of the best Pasta places in the whole city, easy. Amazing always! Love this resturant! Our favorite by far! My husband and I have been to Hank’s Pasta Bar several times. This time we brought a friend from Philadelphia. I had made a reservation but we were seated in the back room which was okay. Next time I will request the front room. I was somewhat disappointed in the entree selection. So many of the dishes were made with butter or cream sauces. Some lighter dish choices would have been preferable. Maybe the winter menu is geared that way? Our server was very attentive and helpful. 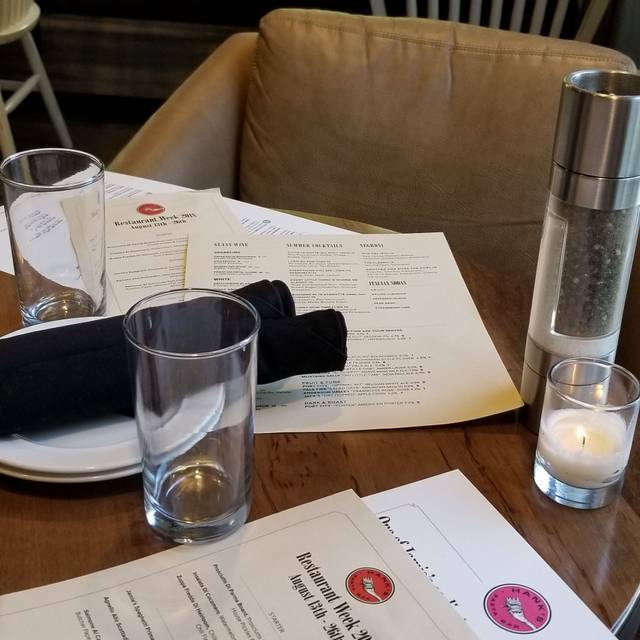 Hank's is a great place to gather with family and friends. Reserved a table for six, arrived on time and seated right away. Server was very professional, food was excellent. Highly recommend this restaurant. My only complaint is the back room, where we were sitting, was very cold compared to the rest of the restaurant. The food and service was excellent! Excellent food and service! We love the family sharing options. If you want pasta its the place to go for good food. We were there on a Saturday night so it was very busy, tables are close, volume was loud, and it was quite warm....maybe because we were seated near the kitchen. We had the fresh fish which was delish and the pepper cream pasta along with eggplant parmigiana. The food was tasty - no complaints. However, it is quite pricey! Service was good. Staff was very nice. It's a modern pasta place so the atmosphere is fun. I won't go often due to price but its nice for something special for someone who loves homemade pasta. The food was outstanding and our server was very sweet. I would have preferred to be in the main dining space. Dependable food and excellent service. A nice neighborhood spot. Fun times and the food was delicious!! Will definitely go again! Always amazing. For a special event or just for great food. One of my favorites. Great food and service! The lasagna is fantastic!